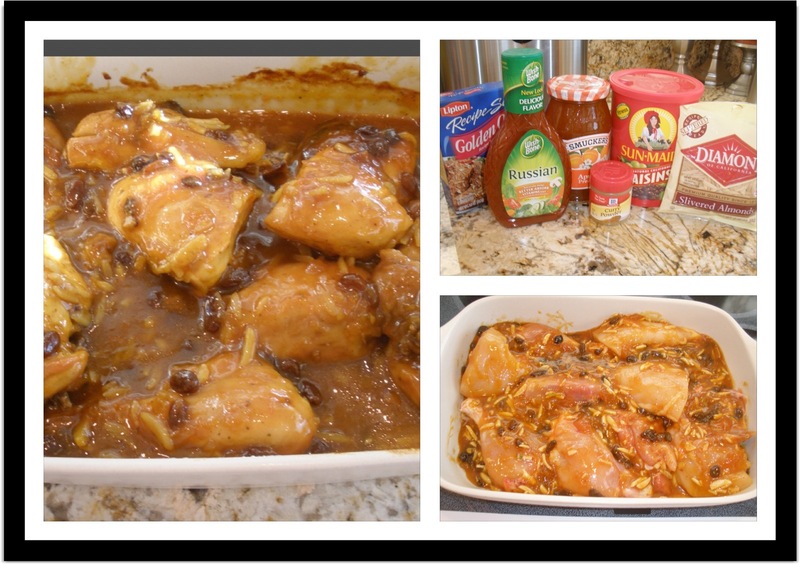 This is a classic, delicious recipe that has many variations. I’ve added some ingredients that give it a sweet crunch and added flavor! This should be served with a side of white rice, the sauce is delicious over the rice. Also goes well with a side of grilled asparagus with shaved Parmesan! 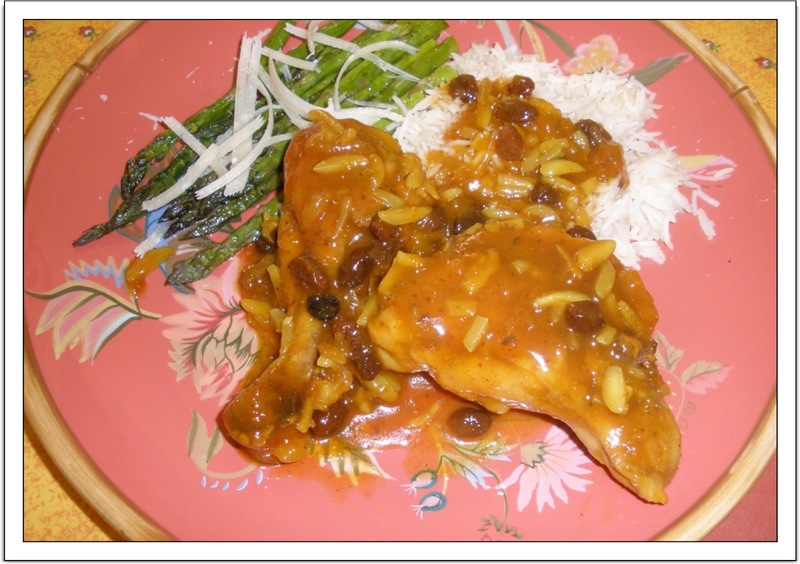 This entry was posted in ENTREES and tagged ALMOND, APRICOT, CHICKEN, ONION SOUP MIX, RAISIN. Bookmark the permalink.